Aquarius glass coffee table is a unique center table. Evoking Millenium motifs and minimalistic glamor effortlessly, this seriously gorgeous round coffee table designed by Boca Do Lobo brings a little piece of Hollywood Regency style into any nostalgia inspired home. 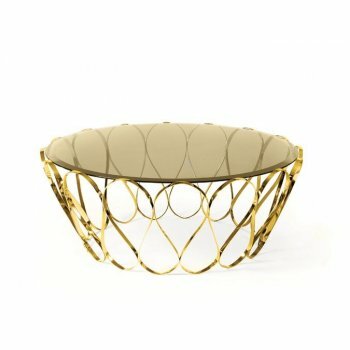 The gleaming polished brass perfectly curved frame of undulating intersecting threads, create an open base to support a tempered smoked glass top, giving this minimalist coffee table an almost ethereal quality. 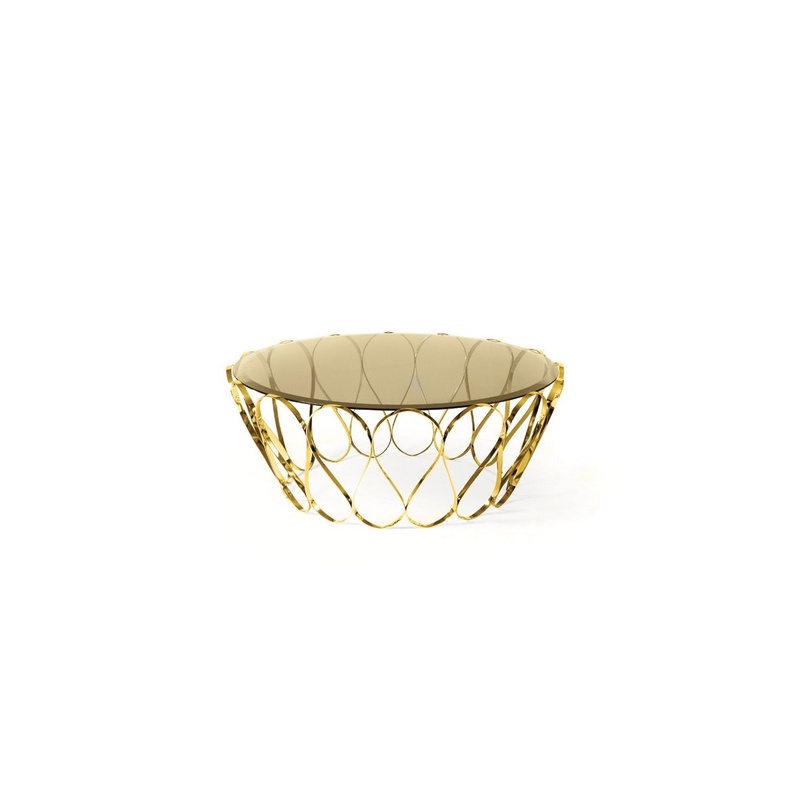 An excellent modern piece, and with its airy construction, perfect for contemporary spaces. Make a stylish statement with this fabulous, remarkable, unique and practical Luxury coffee table! 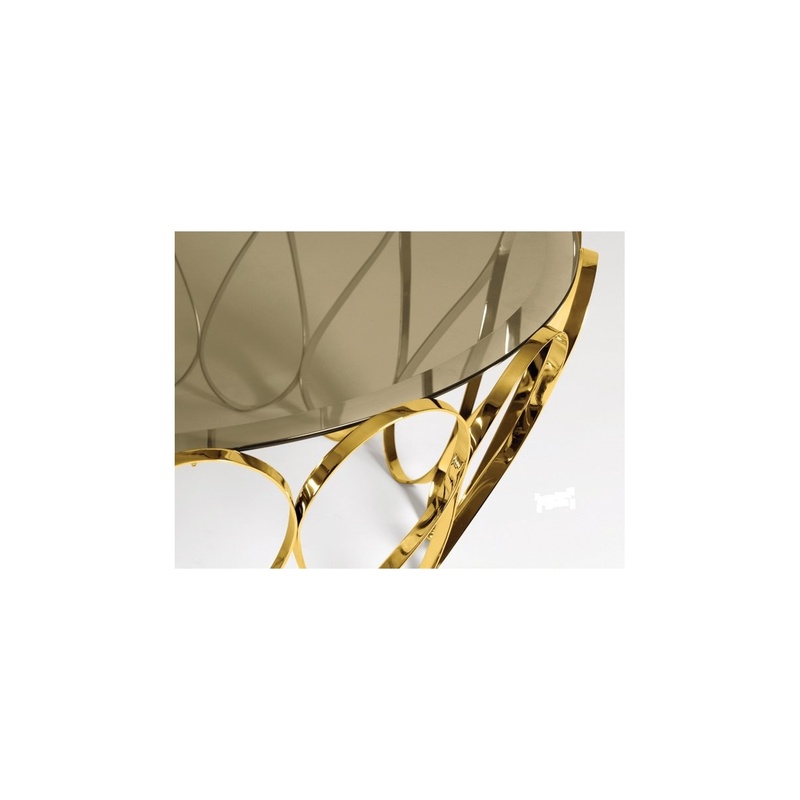 The Modern coffee table available in gold and silver (stainless steel) frame colours. Product Options: Glass colours available: smoked, bronze and clear. Customization: Custom sizes and colours are available with an upcharge. Product Care: Glass cleaner for the top and a dry cloth metal cleaner for the polished brass structure.